Dr Keaty was great, she made me feel very comfortable. She asked me a lot of questions and I didn’t feelrushed in the appointment at all. I’m happy I found her as my new gynecologist. Dr Keaty was great, she made me feel very comfortable. She asked me a lot of questions and I didn’t feel rushed in the appointment at all. I’m happy I foundher as my new gynecologist. She is amazing. She made me feel comfortable and made sure I will be okay regardless of the results. Highly recommend! “ESTABLISHED PATIENTS PLEASE DO NOT BOOK AS A NEW PATIENT” FOR NEW PATIENT “IF YOU SCHEDULED AN ANNUAL AND ARE ACTUALLY A NEW PATIENT TO THE PRACTICE YOU WILL NOT BE SEEN. SO PLEASE MAKE SURE YOU SCHEDULED APPROPRIATELY AS A NEW PATIENT.” “FOR CONFIRMATION OF PREGNANCY PLEASE CALL THE OFFICE AT 212.219.1187. PLEASE DO NOT BOOK THROUGH ZOCDOCK” "IF YOU HAVE NOT BEEN SEEN FOR 3 OR MORE YEARS YOU ARE CONSIDERED A NEW PATIENT" Dr. Kathryn Keaty serves the population of New York, NY and currently practices at Spring OB-GYN, PC. She is a skilled professional who holds a certification from the American Board of Obstetrics and Gynecology. Dr. Keaty received medical training from the St. George's University School of Medicine. She gained practical expertise by completing a residency in obstetrics and gynecology at New York Methodist Hospital. 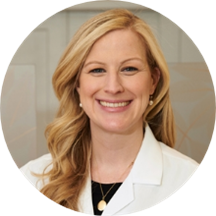 She is a passionate and dedicated OB-GYN with extensive medical experience. She also has several publications to her name. Dr. Keaty likes to help young women looking forward to being mothers, to build a routine that will allow them to better prepare their bodies for successful pregnancy and childbirth. She is also keen on helping adolescent girls better understand and adjust to the sudden change in their lives. She understands that menopause can be tough and emotionally challenging and goes all out to aid women in coping with it. When not working, Dr. Keaty enjoys snow and water skiing, traveling, and playing the piano. Such a friendly office and so quick and efficient. I got a personal call from Dr. Keaty to give me my results and ask questions as well as a follow up call from the office just to make sure I receivedthe information. I am always uncomfortable with doctors appointments and the team at spring does an amazing job putting you at ease without too much fuss. She is incredible and the office got me in and out very quickly. Highly recommend. Best OBGYN I've seen in the city, switching to this practice. Such a nice, caring, compassionate doctor. Long wait but a very kind and patient physician. I was also able to book an appointment the day before which was a huge change from other practices I've been to where I've had to sometime book weeks or months in advance for an annual. Excellent bedside manner. Kind, friendly, caring. After moving to NYC three years ago, I’ve finally found an OBGYN that I enjoy going to. It’s been a tough search but Kathryn is kind and listens to me without shoving tests and unnecessary procedures on me. I’m so thankful I came to Spring OBGYN. She was so nice and friendly! Great doctor, so glad I found her. She has a great bedside manner and a very calming personality. Front desk people are nice and office is generally efficient. Excellent specialist with very kind attitude. Dr. Keaty takes her time to explain everything and makes sure that all necessary tests are done. She calls back to discuss the results either they are positive or negative, and a lot of Dr. do not do that. Really recommend her. Dr. Keaty was so sweet and very informative about EVERY question I had to ask. Made me feel at ease and like I had been going to her for years. If you are looking for a new OBGYN she is your girl! Friendly but professional. I felt immediately at ease with her. I liked being able to fill out all my paperwork online prior to my visit, so I only had one form to sign upon arrival. I got there at 4:55 for my 5pm appointment and, to my surprise, was immediately escortedto a room. I was immediately seen by the doctor, who first had me come to her office to discuss my medical history since it was my first visit. (Side note: the examination gowns they offer are not the paper ones, but actual, cotton gowns!) Dr. Keaty was very quick and thorough, as was her staff; after the exam itself, I had blood drawn, and was out by 5:30. Fastest, most pleasant gyno visit ever! So friendly and the office is very efficient and clean. Dr Keaty was genuinely warm and kind. She listened and answered all my questions. She understood my case and gave good advice, and also sent out my referral to another practice the same day for NT scan.